My experiences with the BCF format lead me to discover a new solution, launch by Kubus in 2014, called BIMcollab, and imagine a new workflow for solving coordination issues within a building project. BIMCollab present itselft as a “BCF based issue management system for BIM in the cloud”. The general idea is to manage every design problem as an issue to be solved, and publish these issues on a cloud-based platform for everyone to see. BIMCollab become the central repository for every issue discovered in a model, and allow to measure the general progress of the project by counting issues opened and solved. 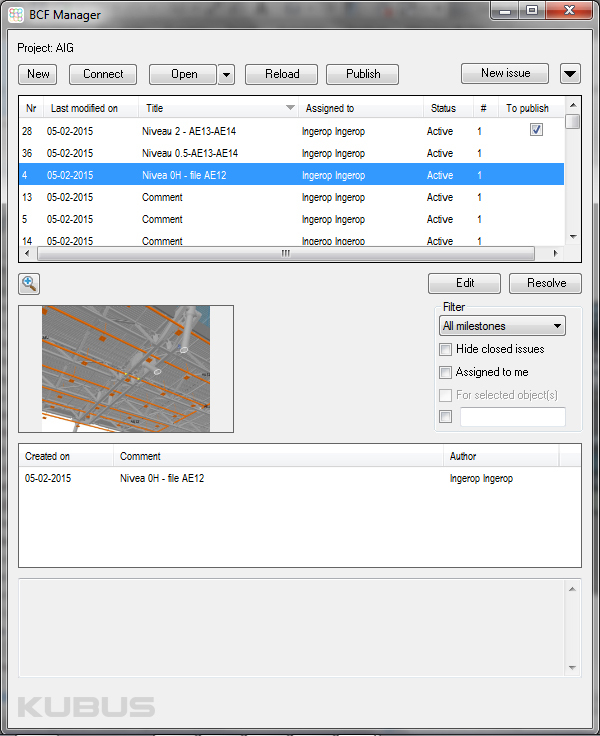 One you have a nice list of issue in your design, save them as a BCF file and upload them on BIMCollab. 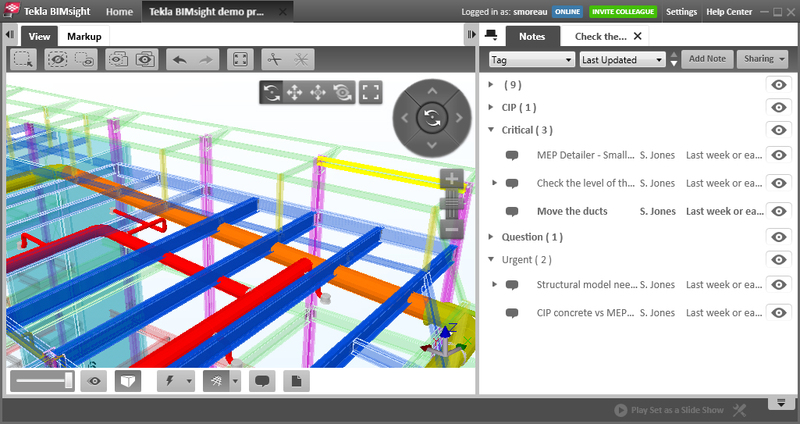 Here, you can sort and dispatch these issues directly in BIMCollab. You can group them by area, assigned them to a specific user, add a priority and a deadline for solving it. Once every issues are assigned, someone responsible for solving can see them directly in his modeling software. I have only try the Revit plug-in, but I believe the others will look more or less the same. After connecting the plug-in to your BIMCollab account, it display every issue listed in the project, directly in the Revit interface. You can filter these issues to display only these assigned to you, and work to solve them. 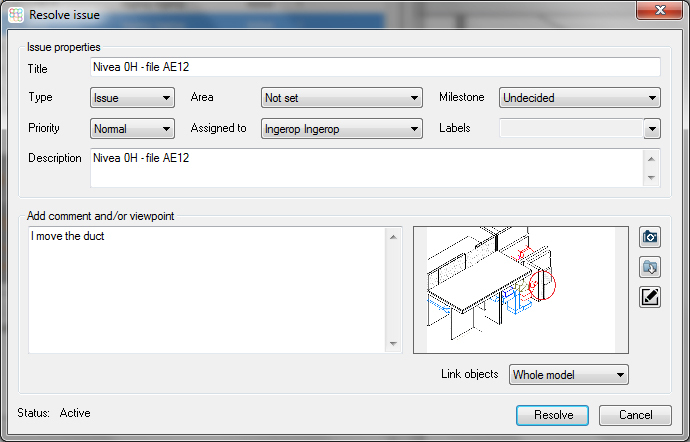 Once done, you can change the status of the issue directly within Revit, add a nice picture of your work and a comment for the record. This validation is send back to BIMCollab for everyone to see. A nice addition is the dashboard displaying the number of issue opened and solved, which create a overview of the work done and to be done. I see this platform as a great solution for a quantified online issue management workflow, like what we can find in software development for some time now, and a new step toward a more collaborative building design.